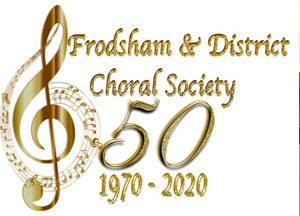 Our choir is affiliated with this organisation. Here you can join and log in as a member or find information on choirs covering the whole UK. The site is run by the Central Office in London, with an emphasis on support services, like insurance, programme notes, repertoire advice, training opportunities and so on. Choral Public Domain Library. The Choral Public Domain Library (CPDL) is the largest website devoted exclusively to free choral sheet music. More information on choirs, conductors and courses. This British Choirs on the Net website lists choirs in Britain with links to their websites. It also has a list of concerts per month. On this website choirs can in order music (in bulk) and rehearsal CDs. ChoraLine brings your vocal score to life - Far more enjoyable than unaccompanied note-bashing - Learn at your own pace in time with the music.! This guide will teach you how to get started when singing, focussing on posture and warming up. Visit this web site and you will find a lot of news on choirs and music over the whole world. The Author and the FDCS can take no responsibility for the contents of any linked site or goods ordered from them. A link to a commercial site does not mean a recommendation of their services.